Will Grigg scores the first goal. Photo courtesy of the Swindon Advertiser. If the scoreline was impressive, the performance was even more so. Wigan Athletic have sent warning shots across the bows of their close challengers Burton and Walsall. It was possibly Wigan’s best performance of the season. They were well organised in defence, tenacious in midfield and dangerous in attack. More than anything else it was the style of football that impressed most. Latics played a brand of football way beyond that one can expect in League 1. Gary Caldwell springing a surprise is really no surprise at all. But playing with twin strikers would hardly be expected from a manager who prefers a lone centre forward setup. Rather than use his typical 3-4-3, Caldwell opted for a 3-5-2 with Will Grigg and Yanic Wildschut up front. The presence of three central midfielders in front of a back line of three was to give the wing backs the licence to attack with vigour. Caldwell got his tactics spot-on. The twin strikers were able to harry Swindon’s back line of three, forcing them into launching long passes which more often than not were gobbled up by the Wigan defence. Moreover Wigan’s midfield trio could swarm forward and swamp an overrun Swindon midfield. Wigan’s movement off the ball was a joy to behold. Grigg took his 15th minute goal with aplomb, evading two close markers to hit home Chris McCann’s superb cross. The Wigan wingbacks, McCann in particular, continued to look lively. Swindon’s attack was largely innocuous. Latics could have possibly killed the game off in the first 45 minutes, given the chances they squandered, but their opening to the second half was stunning. Their high pressing reduced Swindon’s defence to jelly. Max Power’s stunning right foot shot from the left hand side after 47 minutes will rank as one of the goals of the season. 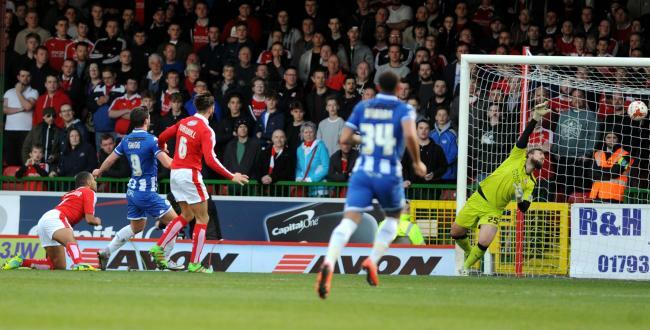 Three minutes later Grigg’s deflected shot gave the Swindon goalkeeper no chance, then Sam Morsy hit home a fine drive from the edge of the box after 51 minutes. Wigan could have had more goals in the 39 minutes of normal time still remaining, but their finishing was to let them down. As the game progressed they eased their foot on the accelerator, with a home match against Rochdale weighing on their minds. It resulted in a well taken goal for the division’s top goalscorer, Nicky Ajose, after 79 minutes. Latics worked liked a well-oiled machine, for once the whole equaling the sum of its parts. They made Swindon look poor in comparison, remarkable in that the home side had lost only one of its previous eight games. So often teams have tried to stifle Wigan’s playing out from the back by high pressing. This time Latics used it to their own advantage, Swindon being stymied by that tactic. David Sharpe promised the fans a 20 goal per season striker before the start of the season. Will Grigg reached that mark yesterday, with 17 in the league and 3 in cup matches. With better finishing from Grigg and Wildschut, the scoreline would have been even more emphatic. It is the norm in modern football for teams to take their foot off the gas when they have a comfortable lead, with another game looming closer. In particular Grigg looked less than delighted to be taken off in the 75th minute with a hat trick a distinct possibility. It could be argued that a third goal for the centre forward could have been a big confidence boost for him. But Caldwell would surely counter that by saying that he needed a fully fit Grigg for the game on Monday. Such debates occur in all levels of today’s football. Jussi Jaaskelainen: 8 – solid and dependable, sound in distribution. Made an excellent save from an Ajose free kick in the second half. Reece Wabara: 7 – getting better. Worked hard running up and down the right flank. Donervon Daniels: 7.5 – his physical presence proved important in keeping the home side at bay. Craig Morgan: 7.5 – solid in defence and pragmatic with his passing. Stephen Warnock: 7.5 – another very professional performance from a full back playing in a back line of three. 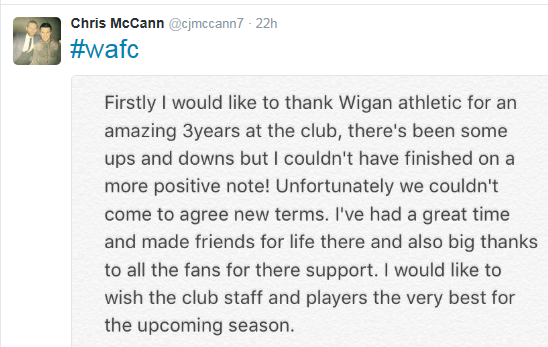 Chris McCann: 8 – excellent. 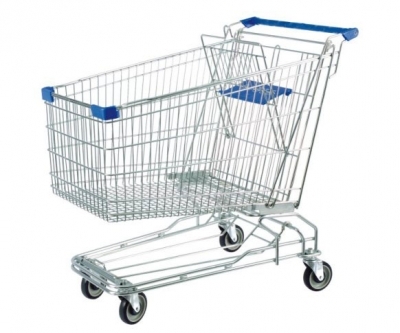 A constant threat to the right hand side of the Swindon defence. Sam Morsy: 8.5 – not only adds steel to the midfield, but intelligent in his passing and movement. Max Power: 7.5 – an all-round player with the class to play at a level well above League 1. Showed superb technique in his goal. Taken off after 64 minutes. David Perkins: 8.5 – a complete performance, tenacious in his covering. His performance made a mockery of criticisms that he cannot pass the ball. Will Grigg: 8 – a danger throughout. He has scored 12 goals in his last 13 games. Once again squandered opportunities, but the good news is that he is getting into the right positions to score. Yanic Wildschut: 7 – worked hard and was a headache for the home defence with his speed and physical presence. But finishing is not always his strong point. Substituted after 71 minutes. Tim Chow – came on for Power after 64 minutes. Worked hard. Craig Davies – came on for Wildschut after 71 minutes. A physical presence as always. Haris Vuckic – on for Grigg after 75 minutes. Showed some nice touches. 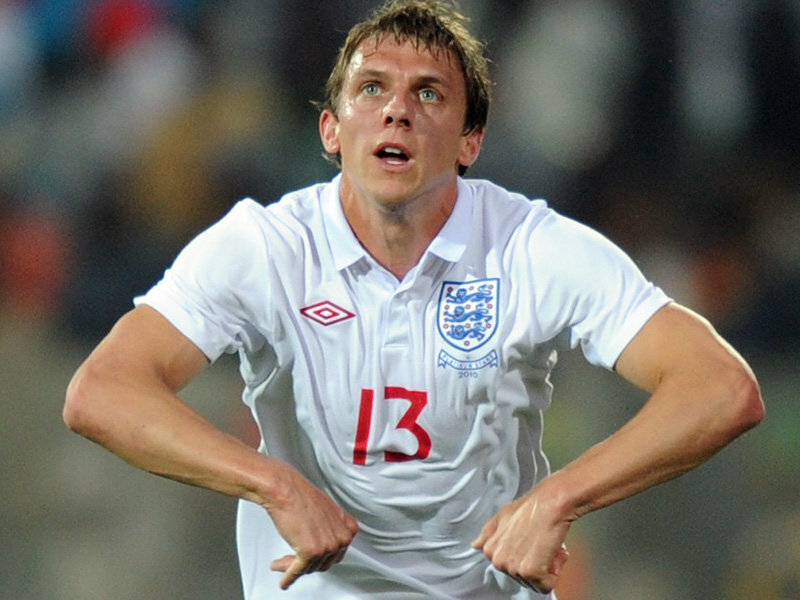 The “New Era” recruitment team at Wigan Athletic already had an impressive record, but the announcement of the signing of Stephen Warnock is really the icing on the cake. Warnock turned 34 in December and his loan signing might be short term, but with over 200 career appearances at Premier League level he will surely have much to offer in League 1. The long term injury to Reece James and a two game suspension for Chris McCann left Gary Caldwell short of options at left back/left wing back. Against Peterborough on Saturday he moved Reece Wabara across from the right to play there, while McCann was rested on the bench. The 22 year old Andy Kellett had been signed as the back-up left sided defender, but in most of his appearances he has been played further forward. Moreover Kellett has been dogged by injury. His last first team appearance was against Gillingham in early January. Warnock was born in Ormskirk and has two caps for England. He came through the Liverpool youth system, going through loan spells at Bradford City and Coventry City when in his early twenties. He went on to make 40 Premier League appearances for Liverpool before moving on to Blackburn and Aston Villa, subsequently dropping down to the Championship in 2012 with a loan move to Bolton. He was then to move on to Leeds United before signing for Derby County in January 2015. Warnock has made 30 appearances in the Championship for the Rams, but the arrival of a new manager in January has seen his first team opportunities become limited. With James still injured and McCann serving a two match suspension we can expect Warnock to go straight in the team for the visit to Colchester on Saturday. Moreover his arrival gives Caldwell more flexibility in being able to use McCann in the centre of defence or midfield. The performance on Saturday was surely affected by losing three players to injury by half time. Jussi Jaaskelainen and Jason Pearce are key players in the promotion push and Caldwell will be hoping they will be back for Saturday. He will also hope that Conor McAleny will be back soon, although he has an obvious replacement in Haris Vuckic. Kevin McNaughton is getting closer to full fitness and will surely challenge Reece Wabara and Donervon Daniels for the right back position over the coming weeks. A back four of McNaughton, Craig Morgan, Pearce and Warnock would rank among the most experienced and accomplished in the division. When Michael Jacobs was in injured at Crewe at the end of January it looked like Latics would be short on creativity, although the signing of Ryan Colclough has certainly helped. However, Jacobs was one of the main driving forces in the new era side until his injury, one of the best attacking midfielders in the division. The return of Jacobs, apparently still a couple of weeks away in terms of fitness, together with the advent of Warnock could be crucial in the bid for promotion. Warnock is a terrific addition to the squad, albeit with just 11 league games to go.